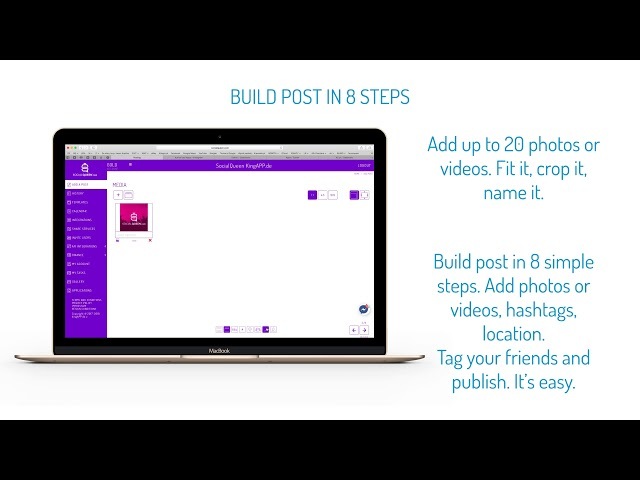 Publish posts with few steps in seconds to all your social media services at once. Description... dont worry about twitter. 280 characters restriction solved. Publish now or plan it in time, save as a template for future work or save as a draft. Plan everything in one place. In SocialQueen™ you will create one post, which you will automatically send to all websites ... Facebook, Instagram, Twitter, Pinterest, Tumblr. With just one click you can reach everyone. Simple integration with your accounts in Social Media allows you to send content at any scheduled time to all services at once. 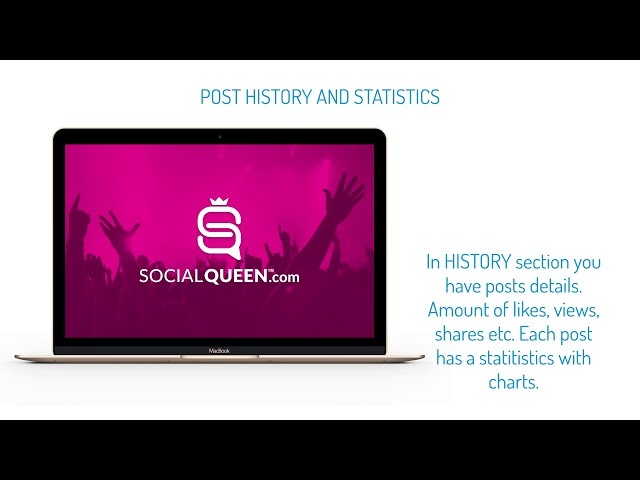 In SocialQueen™ you have access to the full history of your publications and statistics. WORK and PREMIUM packages allow for even faster automation. You know when, where and what draws the attention of the recipients. Data is only yours. We do not share anything with anyone without your knowledge and consent. You can edit or remove access to your services to other users at any time. Here you will learn about our latest projects. About how SocialQueen™.com expands in the world. Also about our interests as we see the world of Social Media. Photos, films, publications, interviews with our users. Previews, contests and what's happening with us. Everything in one place from all your services . With SocialQueen™ you have everything under control. You can configure target groups for your posts. Create ads on Facebook and collect data. Check effectiveness and viewership. With the application, you can choose the best posting time. Promote and check the reach of your ads. Nothing escapes attention. Whether it's the best of your hashtags or audience reactions, you see everything and intuitive previews. References Join us. Be in the team works most dynamically on the Social Media market. I spend a lot of time posting on all my services. Time spent online can be spent on training now. When traveling, I do not have to be attached to the phone. Just have a few moments at breakfast to plan even the whole week. Perfect app. Contact with fans and the world of sport takes a lot of time. Together with the manager, we started using SocialQueen and finally everything is on time. You know it well ... you sit at the table and eternally phone is in your hand. Fans and advertising, however, is an important part of the sport. This is the perfect tool to control all this stuff. The application is interesting and very helpful. Thanks to it, I achieve my goals at work in a hotel much shorter and more efficiently. I solved the problem with the automation of posts for Facebook and Instagram. With the shop plugin, I can schedule posts and categorise them. Now posting takes minimum time. 4. Your privacy settings should be set to PUBLIC. How to integrate your Twitter account with SocialQueen™. You have to be logged into your Twitter account during integration. 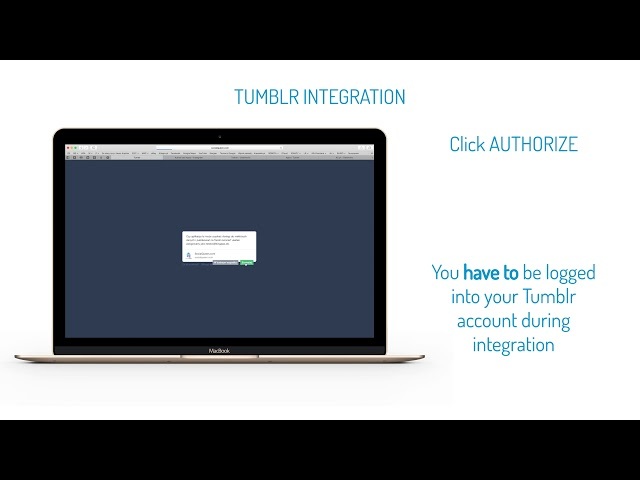 You have to be logged into your Tumblr account during integration. Build post in 8 simple steps. Add photos or videos, hashtags, location. Tag your friends and publish. It’s easy. 1. Select services where you want to publish to. 2. Add up to 20 photos or videos. Fit it, crop it, name it. 7. Check previews. You can see how your post will look like on every services. 8. Click PUBLISH NOW. 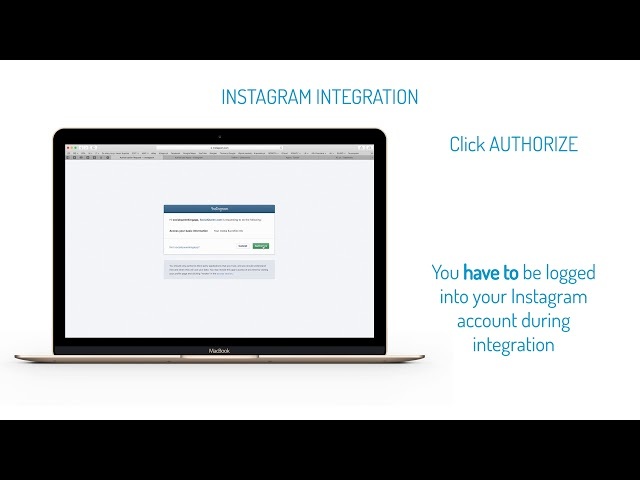 You have to input your Instagram password now. With SocialQueen™ you can plan date and time of publishing. Day, week or month... it doesn’t matter, it works. 1. Build post in typical way. Select services, photos, hashtags etc. 3. Tap CALENDAR. Set date and time. With SocialQueen™ you can avoid Twitter 280 characters restriction limit by converting text to image. 1. Build post in typical way. 2. Input long text now. 3. Click AVOID TWITTER RESTRICTIONS... Your text will be converted to image. 4. Publish now or plan post in time. In HISTORY section you have posts details. Amount of likes, views, shares etc. Each post has a statitistics with charts. 1. Posts list. Click icon to see more details. 2. Check status for every services. 3. Check all details... content, hashtags, etc. 4. You can CLONE post to publish again. 2. Now you can SAVE it as a new template which can be use in your future work or SAVE as DRAFT to finish work later. 2. Select template from the list. 3. Click icon to load. 4. You can publish new post or change details now. If you change anything you can save it as another template or draft. How to share services with the other users in SocialQueen™. They will be able to publish their posts on your services. 1. Click SHARE TO A NEW USER. 2. Input email and name of the user you want to invite. 3. Select services you want to share. 1. If users shared services with you, you can categorize them. 2. Each service can be used to many categories. 3. Simply name the category. 4. Example: One service can be attached to more then one category. 5. Done! User services are categorized. 6. In the first step of build post you have more services where you can publish to. 7. Select services you want to use. Select one by one or whole category or all at once. No annual payment needed, but there are options. 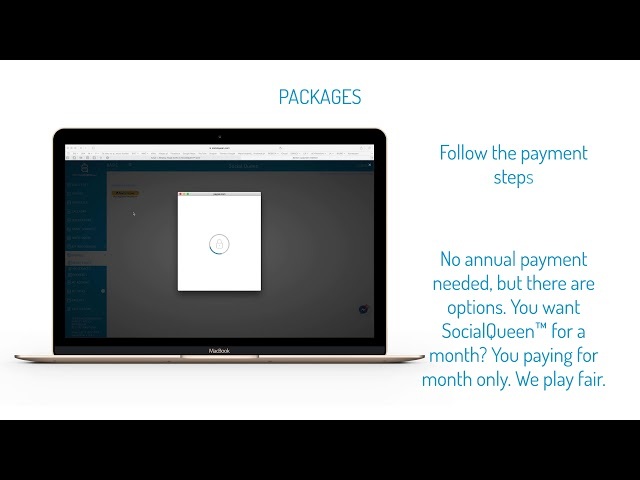 You want SocialQueen™ for a month? You paying for month only. We play fair. 1. First... check your invoice data. 2. Edit or click OK.
5. Select package you wont to buy. 7. Select... one time payment or fixed order. 8. Choose a payment method and period. Monthly, quarterly or annual. 9. Follow the payment steps. We have created a tool that will help you at work and improve this process. Meet SocialQueen™ - an innovative application for managing the most popular Social Media channels on the Internet. With SocialQueen™, the integration of your accounts on social networking sites will be as fast and convenient as ever before! You can post posts, photos, and videos simultaneously on multiple channels with just one click! You have access to detailed statistics of views, likes, and shares for all published content; You can manage hashtags, mark your friends and places in posts on Facebook, precisely plan the dates and time of posting, and if necessary - delete all posts in the same content at the same time. Invite other users to share their social networking sites to provide the opportunity to publish on their behalf, without violating their privacy. Group social media sites shared by others and post the same content to multiple accounts from multiple users. With SocialQueen™, you can also delegate work to selected people, clone published content for editing and republishing, and crop, scale, crop images and video files. The services offered by KingAPP.de GmbH company, represented by the company manager - Maciej Sagal, Lechwerkstrasse 14, 86462 Langweid am Lech, hereinafter referred to as the Service Provider. (3) Individual determination have priority towards these terms. Terms of the opposite content, terms differing from the presented herein or supplementary terms are not a part of the contract, unless it was expressly agreed upon for them to be binding. (1) Using the SocialQueen website, it is possible to publish posts from one place in the network on many social network portals at the same time. At the same time the website offers numerous pictures and videos for free disposal. Additionally, the website proposes the use of fitting hashtags and contains a planner for the future publication of posts. In addition, the website offers the User all statistics concerning integrated social networking sites. (2) For the use of the website, the Service Provider provides the Users with a free account or a payable account – differing from each other in range of services. (1) The Users may use the website free of charge. However, the Service Provider provides the Users also with various kinds of payable subscription models costs of which depend on the scope of the services offered thereby. (3) The Users using a free account cannot set requirements for using the website and its availability. Aspects concerning availability have been discussed in detail in § 11 of these terms. (1) In order to be able to use the website, the User must register their account and receive permission from the Service Provider to use it. (2) Each User may register on the site only once. When registering, the User ensures that they are not yet a registered user of application and that they have not removed the previously existing account in the website. (3) Through filling in all fields form registration form and clicking the "Registration" Button, the User submits the offer for entering into the contract concerning using of an account in the application. (4) The User must first provide its e-mail address and self-selected password in the registration form. Then it is necessary to enter first name and surname, as well as the selected language in which the application will be operated. The User hereby states that they agree with the fact that all critical information concerning the contract for using the website will be sent thereto by e-mail, unless another form of contact has not been legally established. Acceptance of the application for registration on the website is done through sending confirmation by e-mail. The Service Provider reserves the right to reject the request for registration without specifying the reason. If the application has been accepted, the User receives an e-mail with the activation link. Registration will be fully concluded when the User clicks the sent link. Then the User may log in to the website, entering selected thereby e-mail address and password (hereinafter referred to as "login data"). The Users undertake to provide complete and true personal data during registration of the account in the website and to immediately notify about any changes within the scope of their data. The User is aware that they shall bear full liability for specification of untrue data in the process for Registration. (5) From the level of their account, the User may connected with the website with accounts on social network sites and manage them. The User shall also receive overview of all their activities. They may also check its personal data and possibly change them. (6) The User shall be obliged for confidential treatment of its login data. If the User becomes aware that its login data are used by third parties it must immediately notify the Service Provider. In the event of such use of data, the Service Provider shall be obliged to block access to the website. Removal of the blockade is possible only at a written request of the User. (7) The Service Provider shall be obliged to block the User's access to the website, if there is a justified suspicion that the User has breached these terms. Such a blockade shall be notified to the User by e-mail. The User may prevent the blockade, if at its own cost presents respective evidence clearing any doubts. (1) Registered Users may extend the scope of the website. Additionally payable subscription models in the following tariffs are available thereto: Work, Premium and Gold. The prices stated at each tariff are binding. (2) After selecting of an appropriate tariff, the User must specify in the online form all the remaining information which are necessary to enter into the contract. (3) Finally, the User must check the correctness of the entered data and has the opportunity to correct them. When clicking the "Purchase" Button, the User shall submit a binding order with regard to entering into the contract. (4) The Service Provider shall immediately confirm acceptance of the order by e-mail. The Contract shall be concluded with the payment order on the part of the User. The condition for final and binding conclusion of the contract is completing the order procedure by sending the order. (5) The Service Provider shall record the text of the contract and send it to the User along with the included therein legally binding terms for using the website. (6) Any mistakes in the entered data may be corrected at any moment by clicking on the arrow symbol in the browser indicating the left side (Back Button) and then making the required changes. By closing the web browser the User may stop the entire process at any time. (7) The contracts are concluded in German, English and Polish languages. The User also selects the language version being of interest thereto. (1) The specified prices are binding and contain the statutory VAT tax. (2) Due to the delay the Consumer shall be charged with interest for delay, in the amount of 5 percentage points above the base interest rate. Due to the delay Entrepreneurs shall be charged with interest for delay, in the amount of 9 percentage points above the base interest rate. In the case of a delay the Entrepreneur must also pay a lump-sum charge in the amount of EUR 40. It shall also occur when the Entrepreneur is in arrears with payment of an instalment. The Service Provider reserves the right to claim higher fees for the delay from the Entrepreneur. The lump amount according to sentence 3 shall be credited towards any claim for compensation due, if the given damage is justified in the costs of judicial redress. (3) The right for deducting shall be given to the User only when its mutual claims were considered final and binding, are indisputable or were acknowledged by the Service Provider. The User's right to deduce from contractual and other claims originating from establishing or implementation of this contractual relationship shall remain intact. The User may use the right to withhold only when its mutual claim results from the same contractual relationship. (1) The Users may pay the agreed price of a subscription model with the use of a credit card, PayPal system or the so-called fast transfer. (4) In the case of payment with the use of a credit card, PayPal website or the so-called fast transfer, the Customer bears no additional costs. (1) The effective term of the contract for using a free account in order to use the website according to § 4 of these terms is unlimited in time. The User may terminate the Contract at any time, without determining the cause. The Service Provider may terminate the contract at any time, with 14 day notice period. (2) The contract for use of paid subscription models is initially entered into for a period of 1 month. Termination of the contract at that time is not possible. The right for extraordinary termination for an important reason shall remain intact. The contract shall be extended by additional month, unless it is terminated in writing (e.g. in the form of a letter, fax or E-mail) a week before the end of its duration. c) continuous failures caused by force majeure, which are beyond The Service Provider control, e.g. natural disasters, fire, faultless problems with the electric network. (4) In order to submit a statement related to termination of the contract, the User may send an e-mail to the following address: office@kingapp.de, entering its User name and E-mail used at registration. b) comply with third party rights, especially copyright and ancillary rights, trademarks law, patent law and other rights of ownership and personal rights. (3) The User shall be obliged for keeping confidential their login data. The User is not authorised to provide any third parties with their e-mail address used for logging in and password. If the User learns of an improper use of these data, they must immediately notify the Service Provider. (1) The Service Provider shall grant the User with limited, revocable, non-exclusive, not subject to assignment and license right to use a part of components of the website. (2) All components of the website, including the code cookie files, tags or other used technologies should be install, copied and used only in the respect, which is needed to use the website. f) using the data which are marked as third party data for any purpose other than browsing and downloading in the website. The Users shall be obliged to comply with all the laws applicable in connection with the use and access to the software and the website itself and other legal regulations. (1) At the present state of the art it may not be guaranteed that transfer of data via Internet will proceed without any errors and/or was characterised by continuous availability. For this reason the Service Provider shall not be responsible for any technical errors not caused thereby. First of all, the Service Provider shall not be responsible for guaranteeing of ongoing and continuous availability of the website and for system failures, pauses and interferences in operation of technical devices or services, which do not lie on its side. (2) The Service Provider shall not be liable for functioning of networks, shortages in power supply, server failures which do not lie on its side. The Service Provider in particular shall not be liable for disturbances within quality of access to the website, caused by force higher or events, which are beyond its control. It applies, first of all, to strikes, lock outs, internal protests and official resolutions. This group shall also include total or partial failure with regard to communication and network structures, necessary to provide services and network gates of other website providers and operators. (3) Due to conducting technical inspections and further development of the website, the possibility of its use and/or access to the website may be temporarily limited or interrupted. (4) In other cases, the Service Provider shall be responsible for shortages in the services offered according to the statutory provisions. (5) Defects regarding the offered services shall be removed after receiving a written error description, as quickly as possible. It shall not apply in the case when an error depends on the circumstances which were created by the User, especially, when they do not comply with the obligation of cooperation. The remaining rights of the User shall remain intact. In the cases of default on obligations resulting from minor negligence, liability shall be limited to the amount of average, direct, predictable and typical contractual damage. It shall apply also in the case of default in meeting obligations resulting from minor negligence of legal representatives of the Service Provider or the persons who were entrusted with performance of obligations or persons, who were used to perform the obligations. The Service Provider shall not be responsible for minor breach of insignificant obligations resulting from the contract. The Service Provider shall, however, be responsible liability towards of the User for breaching legal item, essential for the contract. Legal items essential for the contract are those which must be guaranteed by the contract the User in accordance with the content of and the purpose of the Contract. The Service Provider shall also be responsible for breaching obligations meeting of which enables just due performance of the contract and on observance of which the User may count. The above presented limitations in liability shall not apply to any claims of the User resulting from liability of the Service Provider for the product and in the case of any intended violations of obligations or such which result from serious negligence. Limitations in liability shall not apply also in the case of violation of obligations significant from the point of view of the contract and on account of health impairment, bodily harm and loss of life of the User caused by fault of the Service Provider. The Service Provider shall not be liable for loss of data and/or programs, if the damage consists in the fact that the User did not prepare a security backups in order to ensure that the lost data can be recovered at reasonable expense. The Service Provider shall be responsible for external content only if it is aware of existence thereof (i.e. also of their unlawful or a punishable nature) and in technical terms is able to prevent utilisation of this type of content (§§ 7 nn. of the German Act on electronic media - TMG). If the Users shall post links redirecting to other websites, the Service Provider shall not be responsible for external content posted thereon. The Service Provider has no control over visual appearance and content of such websites and shall not usurp any external content. If the Service Provider becomes aware of the contents nonconforming to the law, posted on the external websites, access to this type of websites shall be immediately blocked. In the case of links it means links to other websites. If the Service Provider determines that a specific offer to which a link was made available thereby, results in civil and legal or penal responsibility, the Service Provider shall remove the link to this offer, if this is technically possible and reasonable. (1) Contents of the Service Provider are subject to copyright or other protective rights of the Service Provider (or companies cooperating therewith) and may be used only with a clear permit of the Service Provider (the holder or the rights). This applies particularly to texts, pictures and layout of the website and the website. (2) Downloading or printing of individual websites and/or parts of the website or the website of the Service Provider for private use is allowed. Complete or partial reproduction, distribution, transferring (electronically or otherwise), modification and use of the website or the website for the public or commercial purposes is forbidden, if the Service Provider has not expressed its prior written consent. (3) Due to provision of contents by the Users, they grant the Service Provider the right to use those contents in a database (during the effective term of the contract), especially, the right for recording, duplication, transferring and publishing the contents. (1) The Law of the Federal Republic of Germany shall be binding. In the case of consumers, who do not enter into contract for the purposes of professional or economic activities, selection the rights shall be binding only to the extent for them not to be deprived of protection, granted by legal regulations absolutely valid in the country in which the consumer has their place of residence. Provisions of the United Nations Convention on Contracts for International Sales of the Goods shall not apply. § 18 (9), p. 9 of the German Act on personal data protection at teleservices – TDSG shall remain intact. (2) If the User is a merchandiser, legal person of the public law or a separate public and legal property, the court competent for solving all disputes arising in connection with the contract, shall be the court competent for the seat of the Service Provider, unless an exclusive jurisdiction has been defined. The Service Provider shall, however, also be authorised to perform legal action against the merchandiser before court competent for its place of residence or conducting business activities. Jurisdiction due to an exclusive jurisdiction remains intact. (3) We are not ready nor obliged to participate in alternative proceedings for solving disputes before consumer mediation office. We are obliged to inform you of this fact that under the so-called Internet resolution of any disputes on the part of the European Commission, an online platform has been prepared, which can be found at: http://ec.europa.eu/consumers/odr. Therefore, we are obliged to provide you with our e-mail address: office@kingapp.de. In order to enrich the offer of our website, we collect and record specific non-personal access data. If you demand to display some data from our website, normally in such a case the access data are collected and recorded. - information about the installed operating system and the resolution set. The above data are used for internal statistical purposes, as well as the Internet website administration. The data (or their fragments) are not transferred to any third parties. These anonymous data are recorded separately from the personal data sets and under no circumstances they are combined with your personal data, which means it is not possible to attribute them to a specific person. We collect personal data only when they are voluntarily made available to us. First of all, the following personal data are collected during registration: first and last name, e-mail address. In addition the following personal data are collected in the process of placing an order: address, phone number. Additionally, when placing orders the information concerning payments are collected, such as: bank account or credit card data. Under integration of the social network website accounts were record only the e-mail address and the given profile picture. The personal data provided by you (complementary phrase, name/surname, address, e-mail address, phone number, bank account data) are recorded in accordance with the law and pursuant to provisions of the German Act on personal data protection and the Act on electronic media. Certainly, your data are regarded as confidential. Your personal data are used only for completion of the order. In order to make payment your data concerning the payment are transferred to the bank which was ordered to make the payment. The transfer of customer personal data to any third parties, exceeding the scope presented here does not take place. However, in particular cases we are entitled to provide competent authorities with information on your data, if they are necessary in connection with the conducted procedure (e.g. in connection with prosecution of crimes). Without obtaining your consent, we do not use the data collected for the purposes of advertising, to perform market research or for public opinion research. If you subscribe our Newsletter, you accept the provision presented below and declare that express your consent recording and using your e-mail address. At any time you may cancel this consent with the effect "for the future", e.g. by sending an e-mail to the following address: office@kingapp.de, or resigning from the Newsletter. "I want to regularly receive by e-mail the information on offers concerning programs, offers of SocialQueen ™ .com and KingAPP.de, Social Media Management, electronic trade and advertising services. At any moment I may revoke this consent with regard to the use of my e-mail address." At any moment you may change the browser's settings with regard to saving cookies by selecting the option "Do not accept cookies". However, please note that this may result in an improper functioning of our webpage. At any time you may, free of charge, request the information on your recorded data. Alternatively, you have the right to correct, block or remove the data saved. If the legal obligation for data storage is in place which does not permit their removal, we will block these data. Since the security of your data is important for us, the data are transferred using a safe SSL connection. When personal data are collected, transmission of the data takes place in an encrypted manner using the SSL method. Your personal data are encrypted and sent over the Internet using the SSL certificate with the encryption strength of 128 bit. Due to the SSL encryption we protect your personal data against access by any third parties. The SSL (Secure Socket Layer) is the protocol used for encryption of messages on the Internet, which offers particularly high level of security with regard to data transmission. Furthermore, we protect our website and other systems by undertaking relevant technical steps counteracting loss, damage, change, dissemination of data and access to them by unauthorized persons. Despite regular controls, the total protection against all hazards is, however, not possible. Information generated by cookies concerning using this website by the user is usually transferred to the Google server in the United States and recorded there. In the case of activation of anonymization of the IP address on this website, the IP address of the user is initially shortened by Google in the EU Member States or other countries bound by the Agreement on the European Economic Area. Only in exceptional cases the IP address is transferred in a complete form to the Google server and shortened there. We would like to point out that this website applies the Google Analytics service with the extension of "_anonymizeIp ()" and for this reason IP addresses are processed only in the shortened form so as to eliminate the risk of direct identification of the user. To the order of the operator of this website, Google uses these information only in order to assess the use of this website by the user, in order to create reports concerning traffic on the web site and to for the purpose of the website operator providing other services concerning the website use. The IP address of your browser transferred to Google Analytics is not combined with other Google data. It is possible to set the browser so as to prevent saving cookies, however, it should be remembered that in this case we it will not be possible to fully use all the website functions. The used may also disable generating cookie files concerning the use of our website (including its IP address) and processing these data by Google, through downloading and installation of a browser plug, available at the following link: http://tools.google.com/dlpage/gaoptout?hl=de. Since while using many plug-ins, the personal data are transferred to social network website also without interaction with a given plug-in, we have applied the "Shariff" solution. With the use of the Shariff plug-in, you may decide whether and when the data will be transferred to the operators of specified social network websites. When the user browses our websites, no data are transferred to these websites. Only when the user clicks one of the icons, a connection will be initiated between its browser, and servers of the specific social network website, and the data will be provided. If at the given time the user is logged in to his/her account at a given social network website or logs in as a result of initiating the connection, the provided data may be attributed to his/her account. If one of our websites is triggered containing such a plug-in, the user's browser will establish a connection with the server of Facebook. Facebook receives and possibly saves data that enable the service to recognize, which of our subpages was displayed by the user. It takes place regardless of whether a given Facebook plug is activated or not. 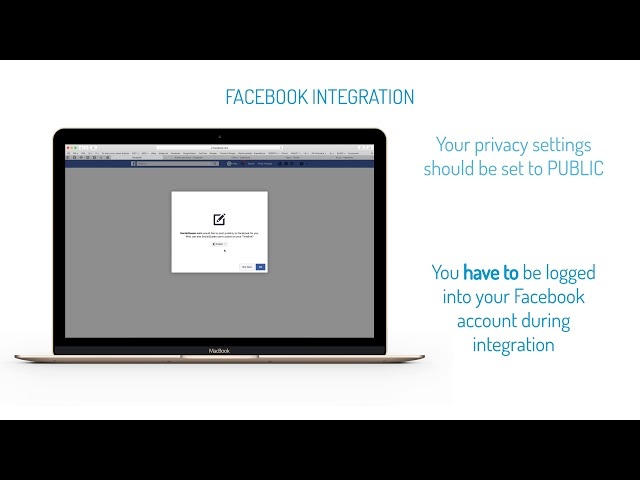 If the user activates the Facebook plug-in (by clicking the Share Button), specific information will be possibly provided and recorded in the Facebook company in the United States. If the user is logged in to their profile on Facebook, the provided data may be attributed to his/her account. If one of our websites is triggered containing such a plug-in, the user's browser will establish a connection with the server of Twitter. Twitter receives and possibly saves data that enable the service to recognize, which of our subpages was displayed by the user. It takes place regardless of whether a given Twitter plug-in is activated or not. If the user activates the Twitter plug-in (by clicking Tweet-This Button), specific information will be possibly provided and recorded in the Twitter company in the United States. If the user is logged in to their profile on Twitter, the provided data may be attributed to his/her account. We use “Pin it” Button by Pinterest, Inc., 808 Brannan St, San Francisco CA 94103, USA. This button can be identified on the basis of the Pinterest logo. More information on social plug-ins by Pinterest can be found at: http://business.pinterest.com/de/tools. If one of our websites is triggered containing such a plug-in, the user's browser will establish a connection with the server of Pinterest. Pinterest receives and possibly saves data that enable the service to recognize, which of our subpages was displayed by the user. It takes place regardless of whether a given Pinterest plug-in is activated or not. If the user activates the Pinterest plug-in (by clicking Pin it Button) specific information will be possibly provided and recorded in the Pinterest company in the United States. If the user is logged in to their profile at Pinterest, the provided data may be attributed to his/her account. To prevent such a situation, it is necessary to log out from Pinterest, before you will visit our website. What will I gain from SocialQueen.com? You can post multiple services at the same time from one place in the network. We will give you photos and even videos. We will remember your hash-tags and let you schedule your posts in time. We then show you all the statistics for your integrated community channels. How can they test the application? Sign up for the system and get a free monthly basic package. How to login to the system? On the top right hand side of the application, go to the "LOGIN" section and enter your email address and password. How to integrate social media Facebook? When logged in the user panel, go to the "INTEGRATIONS" section.. Then select the Facebook feed and use the "INTEGRATE" button.. The next step is to enter your login and password and follow the instructions promptly. How will they add another service? Follow as if integrating the Facebook community channel. Does SocialQueen.com comply with Facebook, Instagram, and other community channels? Yes. The application was created in accordance with the rules of community channels, which we support in SocialQueen.com. If you are logged in, go to the "ADD POST" section and fill out the post form. I made a post. Where can I find my post? All the posts you added are listed in the "HISTORY" section with additional information. We have also provided you with a search engine so you can quickly find your posts by content, date, publication or status. You can edit posts in the "HISTORY" section by using the "Edit" button or directly after selecting a post in the calendar. Can I post a date in the future? Yes. When adding a post, use the "Plan" button and choose to post the post. Click on the plan and select the scheduled date of publication. When will my posts be posted as I click "Post"? You can now use SocialQueen.com only from your smartphone browser. The mobile app will be available in early 2018 on Apple iOS devices. Can I provide other users with my social media channels? Yes. All users who want to access selected social media channels can select the "UPLOAD SITES" section. What do you see and what are the user rights I have shared with my social media channels? In order to increase the limit of added photos we invite you to buy paid packages. A detailed list of all packages, including a price list, can be found on the home page of the "PACKAGES" tab. Can I post more than one facebook account? Yes. The number of accounts you can post depends on the package you have. A detailed list of all packages, including a price list, can be found on the home page of the "PACKAGES" tab. I have an idea to improve the app. Where did it go? Please send feedback and suggestions via the "REFUND" section. What makes a basic package? A detailed list of all packages and pricing can be found on the home page of the "PACKAGES" tab. How and when can I change my package? You can change your package at any time. All available packages are available through the "Change Plan" button in the "E-FINANCE" section. What data does SocialQueen.com keep after my Facebook integration? SocialQueen.com only stores your email and avatar. How many accounts can I integrate? The maximum number of integrated accounts depends on the activated package. A detailed list of all packages and pricing can be found on the home page of the "PACKAGES" tab. Post cloning depends on the activated package. A detailed list of all packages and pricing can be found on the home page of the "PACKAGES" tab. Can I integrate with the service? Yes. You can manage all the integrations in the "INTEGRATIONS" section, which is located in the user panel. I would like to delete the account. How can they do it? You can delete the account in the "MY DATA" section.